Sliders can be controversial—we've all had clients who've insisted on them regardless of whether they enhance the site. But they do have their place. They can help to highlight key content, display images on a site where visual elements are important, and bring a site to life. In most cases, you'll probably have used sliders to display images, which may or may not be associated with content on your site. But you can also use a slider to display text on your site. 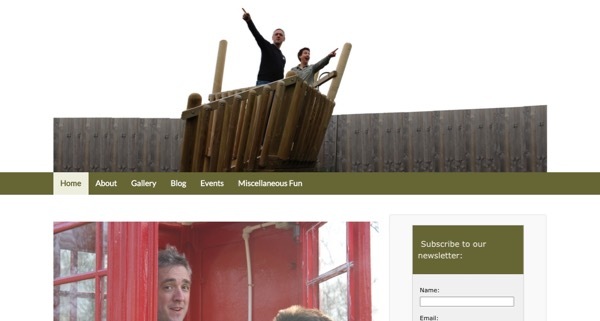 The example I'll be working through is a real-world site I'm developing for a client, which is running a child theme of the Responsive theme. I'll be creating a child of the Responsive theme and adding custom styling to that as well as functions in the theme's functions.php file. You could either add this to your own theme or create a child theme of Responsive like me. In the next part, we'll add CSS to our theme to position the text correctly, creating the conversation effect, and to style it. First let's create the child theme of the Responsive theme. I'm doing this because I don't want to edit the Responsive theme itself: if you did that, you'd lose your work when you next updated the theme. Alternatively, you could create a plugin to do this. In your wp-content/themes directory, create a new empty folder. I'm calling mine tutsplus-conversation-banner. Description:    Theme for tuts+ tutorial on creating a conversation banner effect. Child theme for the Responsive theme. Edit the code above to make yourself the author and add your own URI. Now save that file and activate your new theme. Because this is a real-world site, I've added custom styling to it, which is in the child theme's stylesheet. I won't go through this in detail as it's outside the scope of the tutorial, but you can see the styling in the code bundle with this tutorial. The image in the header has space either side of the two people, and I'll style my slider so that it displays text either side of the people, giving the effect that they're pointing at their words. 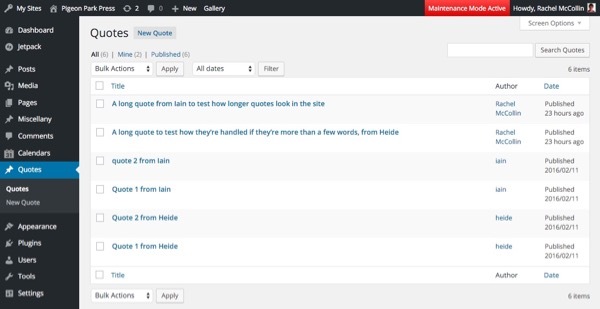 The nest step is to register a post type called quote. In your child theme folder, create a new file called functions.php. Note: It's good practice to use a plugin to register a post type rather than adding them to your theme functions file. I'm using the functions file here to keep everything in one place, so you have a code bundle to download. This registers a new post type called quote. Note that these are just dummy quotes—the fact that I've used a custom post type makes it easy for my client to add their own quotes once the site is launched. Each of them just has a post title and no content, because if there was post content, the plugin would display both. The next step is to install and configure the slider plugin. 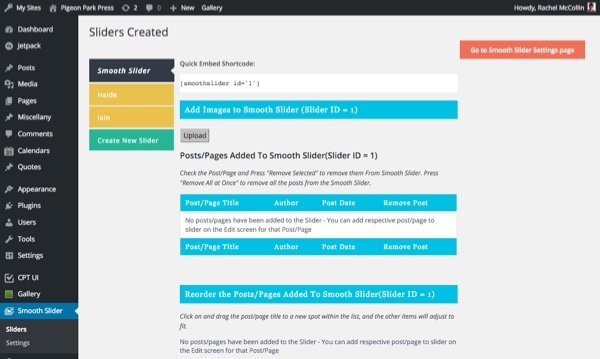 I'm using the Smooth Slider plugin, which lets you choose which posts will be added to the slider and manually reorder your posts in the slider's settings screen. Default title text: leave this blank. Thumbnail image: uncheck all of the boxes for this. 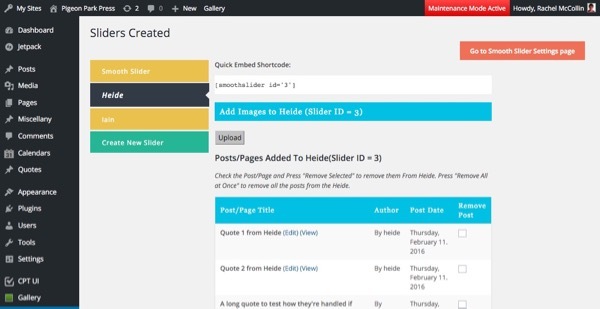 Slider content - Pick content from: select Content. I'm adding styling in my stylesheet because I want to use Google fonts, so I'm not too worried about the settings for the fonts, but you might prefer to tweak those in the settings screen. The next step is to add the sliders and populate them with posts. We need to add two sliders: one for each of the two people. Go to Smooth Slider > Sliders and click on Create New Slider. I've called my two sliders 'Heide' and 'Iain' because those are the names of the people. Select the slider you want to add the post to and save it. Repeat this for every post, adding it to the relevant slider. Once you've done this, save the slider. Right now we have two sliders, but they're not appearing in the site. 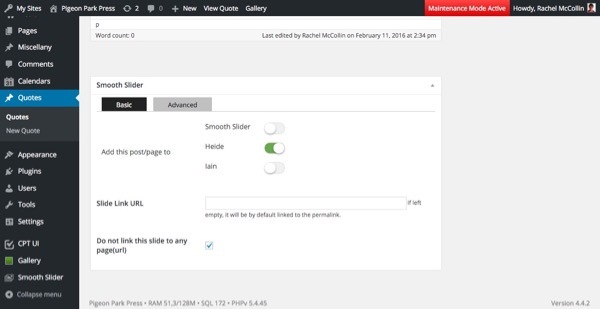 The plugin gives you shortcodes you can use to add sliders to your site: as we'll be adding them in the theme files, we'll use the do_shortcode() function. The Responsive theme provides us with a hook called responsive_in_header which lets you add code to the page header. This will be displayed above the image but in the header: we'll add CSS to position the sliders correctly in the next part of this two-part tutorial. This creates a div with the tutsplus-sliders class, which we'll target for positioning later, and uses the shortcodes to output the two sliders. So the sliders are there, and they're working. But they're taking up a huge amount of white space at the top of the page, above the image. We need them to be displayed over the image, next to the two people. In the next part, we'll go on to fix that. We'll add CSS for positioning the two sliders, and also for styling. We'll register a Google font which will be used for the quotes. Sliders aren't just for images: you can use them to display text too. 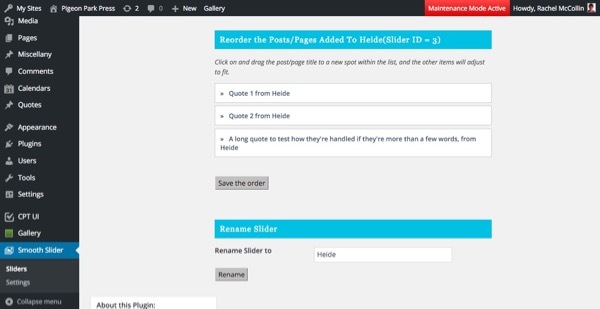 In this tutorial, you've learned how to set up two sliders using a custom post type. Next we'll add the styling to make our text look the way it should.